POLISES (short for ‘Policy Instruments and Social-Ecological Systems’) is a BMBF-funded Junior Research Group. 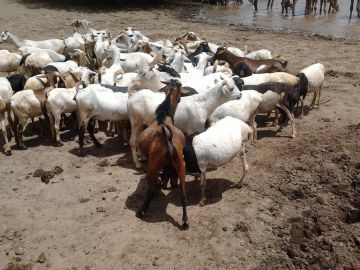 We investigate policy impacts on livestock and crop smallholders in drylands, with a strong focus on pastoralists. Our research is based on case studies in East Africa (Ethiopia, Kenya) and North Africa (Morocco). In this context, we aim to explore the impact of policy instruments – in particular risk-coping mechanisms, environment-related policies and land use policies – on the social-ecological resilience of smallholders. POLISES is based at the Helmholtz Centre for Environmental Research – UFZ in Leipzig, Department of Ecological Modelling, and has additional ties with the Institute of Environmental Systems Research at Osnabrück University. We also have a project homepage at the UFZ. what happens under the influence of global change. We explore the impacts of selected global food security policies on the resilience of smallholding farmers in Africa; we aim to identify crucial aspects for an appropriate design of these policy instruments; and we want to promote knowledge transfer and social learning.